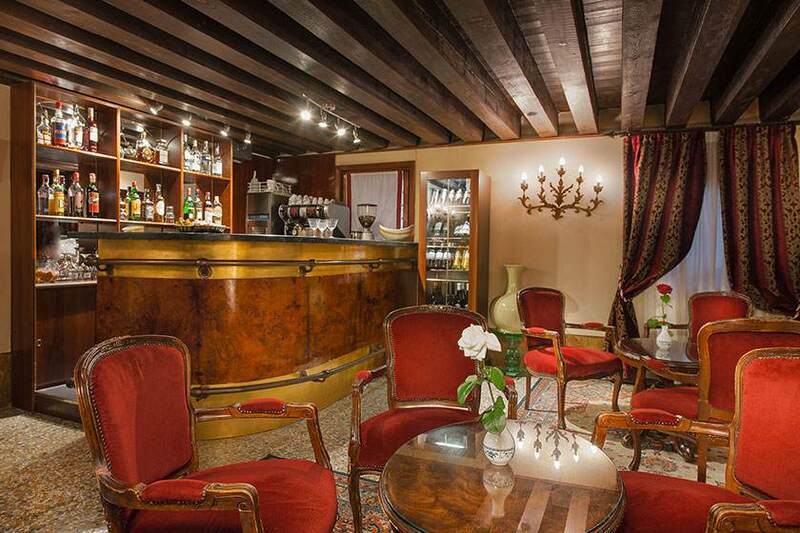 The Hotel San Cassiano is an authentic historic 14th century residence that displays all the charm and fascination of Venice, featuring splendid Venetian style furnishings, Murano chandeliers and precious antiques. 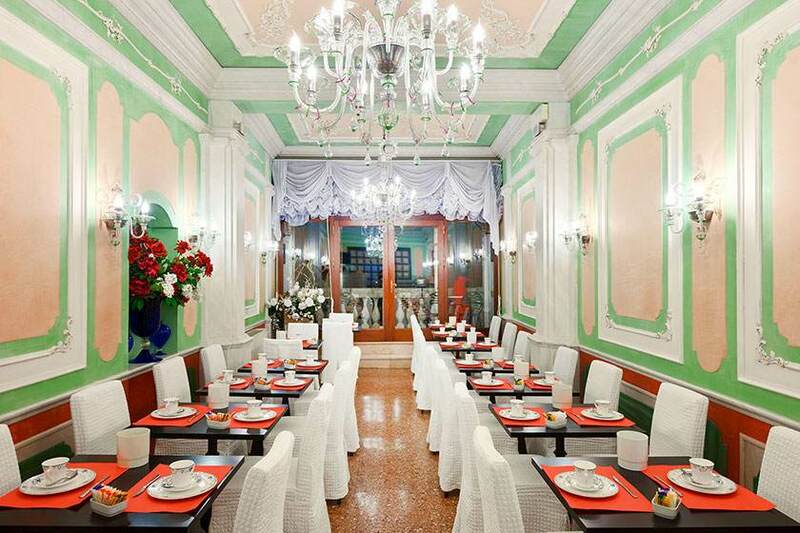 Providing all the best modern amenities, Ca’ Favretto offers 4 star services and a reception desk that is always available to help you with reservations for guided tours and excursions in Venice. 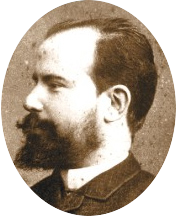 Giacomo Favretto, one of the greatest Venetian painters of the 19th century, lived in the palazzo that today hosts the Hotel San Cassiano. 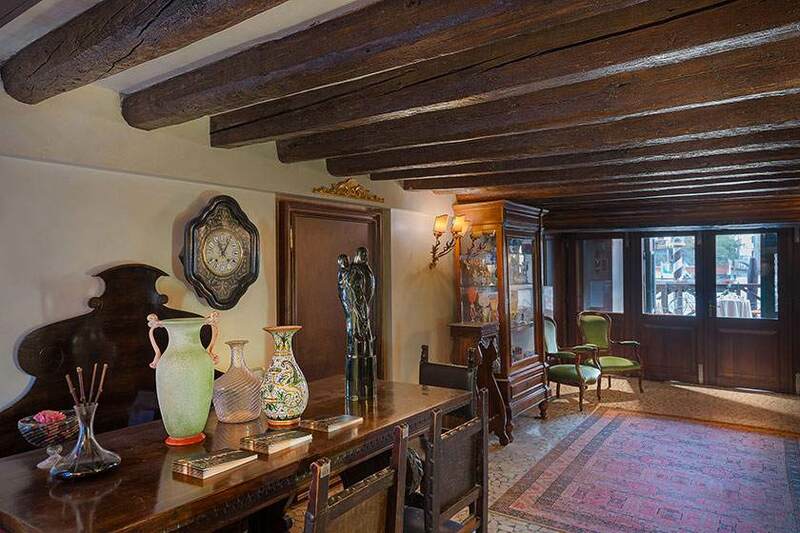 Working his way from his father’s carpentry shop to Venice’s Fine Arts Academy, he distinguished himself for his innate talent, achieving international fame over the course of his career. 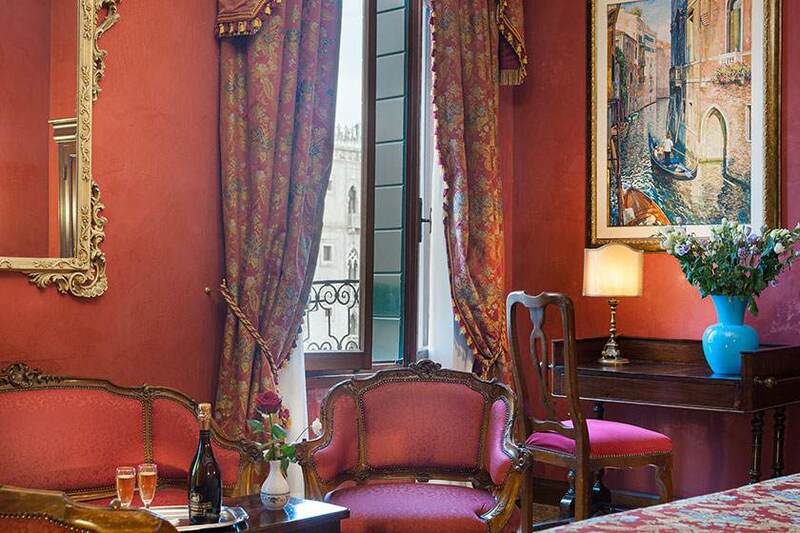 The Hotel San Cassiano in Venice – Historic Residence Ca’ Favretto – boasts a splendid location in the Sestiere of Santa Croce, facing onto the Canal Grande, right in front of the renowned Ca’ d’Oro. 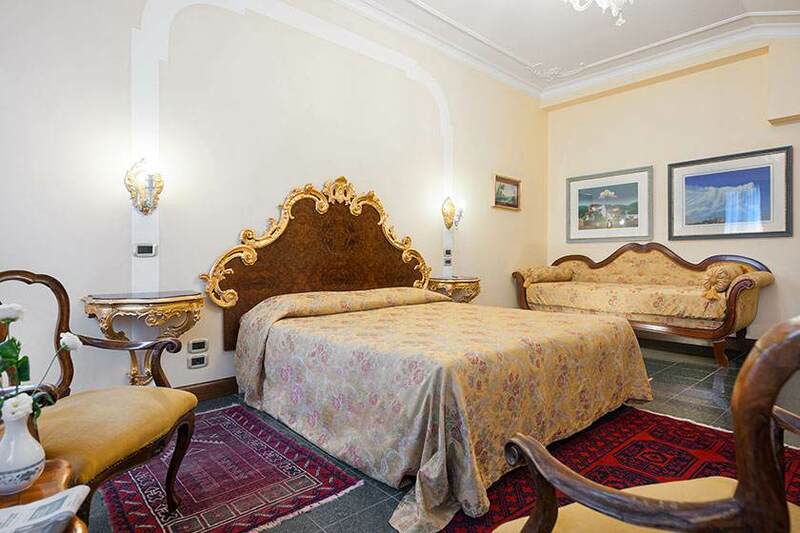 Just 5 minutes from the Rialto, the residence Ca’ Favretto is conveniently situated for the Museum of Natural History, the International Modern Art Gallery of Ca’ Pesaro and the museum of Palazzo Mocenigo, and is just a 15 minute walk from the wonders of St. Mark’s Square, with the basilica and famous bell tower. The San Stae mooring, where the vaporetti stop before heading off for Piazzale Roma, the train station and St. Mark’s Square, is in the vicinity of the hotel. 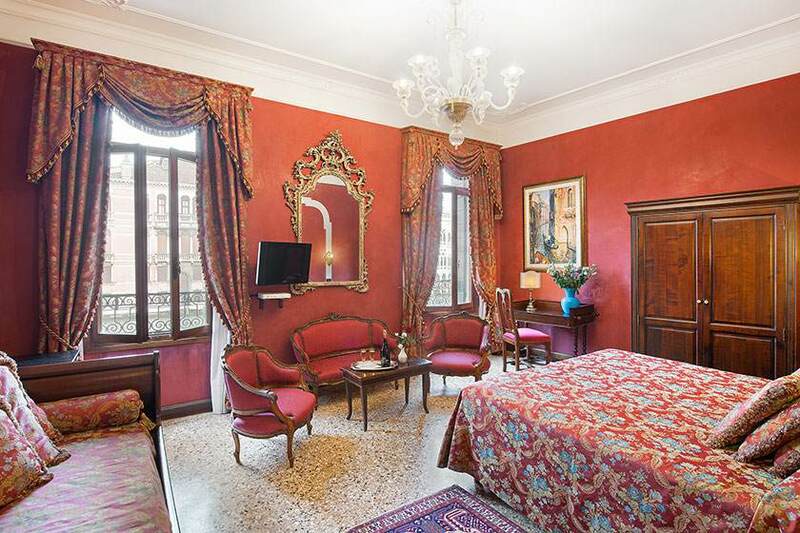 With select rooms facing onto the Canal Grande, the splendid rooms at the Ca’ Favretto historic residence provide a unique otherworldly ambiance, featuring Venetian furnishings with rich hues of red and gold and marble dust polished walls. Comfortable and relaxing, ideal for couples and newlyweds on their honeymoon, different room types are available, also perfect for families.